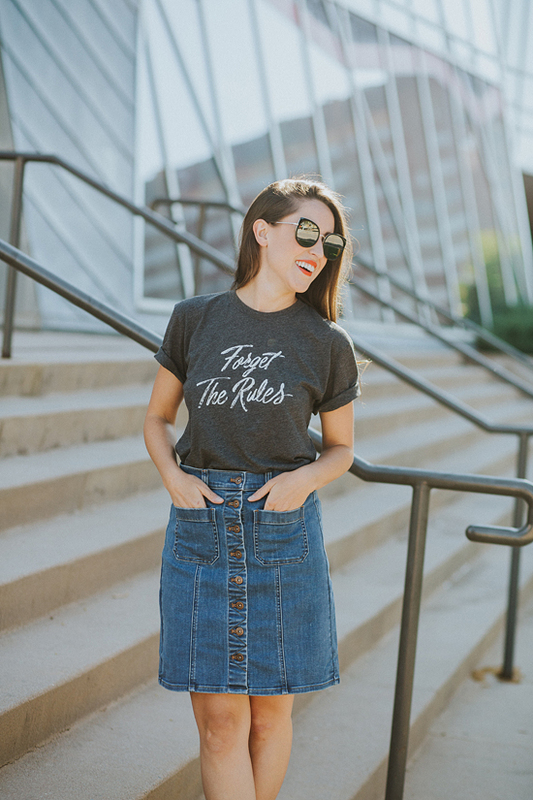 No lie, the 16 year old version of myself would love to be wearing this outfit - tee-shirt with rolled up sleeves, denim skirt & (the only thing missing) a bow in my ponytail. 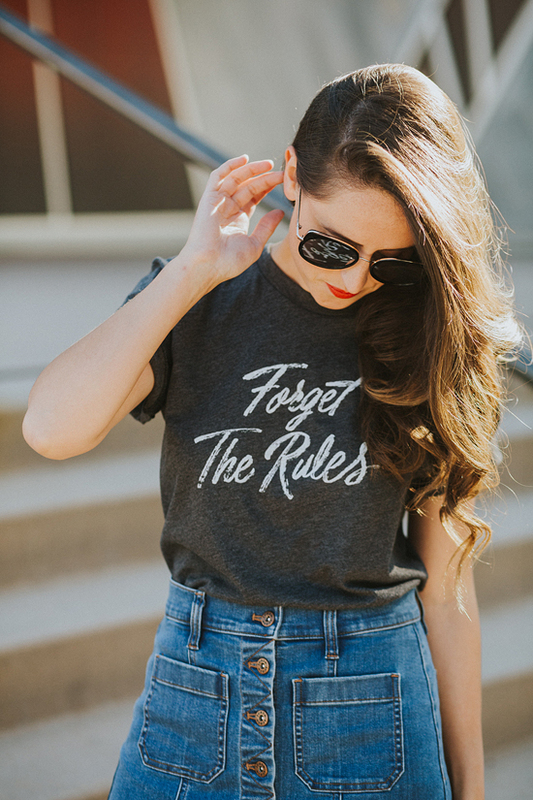 As I near the beginning of my 3rd decade (T-minus 1 month), I have found that there are always "rules" around what you can & cannot wear, but some can certainly be forgotten. The quote that lives under my senior picture in the 2005 yearbook? "If you follow all the rules, you miss all the fun". Getting dressed should if nothing else be FUN, so I say: ignore the rules about wearing white, dressing your age, & sporting sequins in the day time! 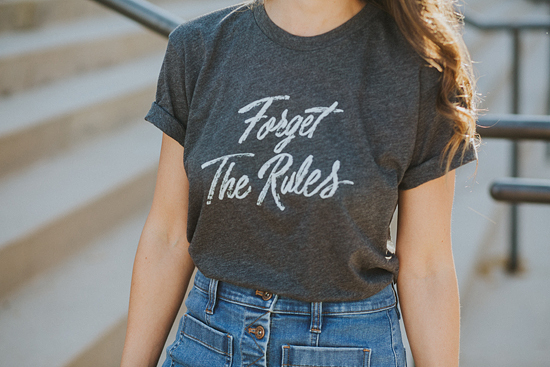 What rules are you forgetting when you pick out your favorite outfit? 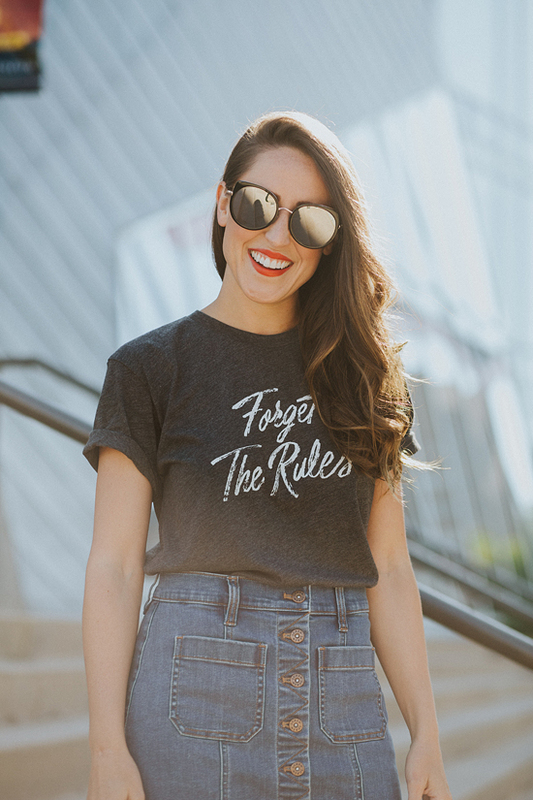 Not only do I love the message ON this shirt, the message behind it is even better! The Home T makes insanely soft shirts (In the USA!) AND they donate 10% of their profits to MS research. This is my second shirt from The Home T, & I swear that it is true - these shirts start off super soft & comfy, and just continue to get even better over time. 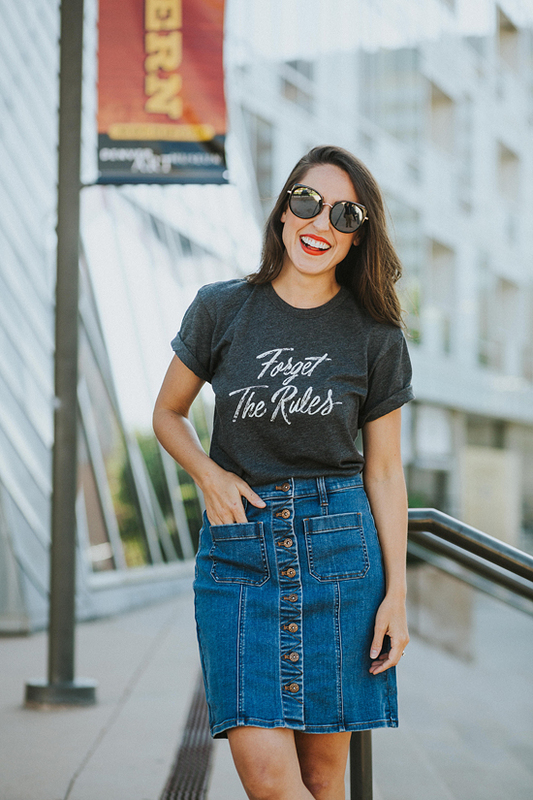 The latest collection from Home T focuses on such positive messages like: Free to Be Me, Dancing to my own beat, Smiles are Contagious, and Make Today Awesome. Which one would you choose to share with every person you crossed paths with during the day?